Provide flexible and efficient HVAC—that also deliver a sleek and modern low-profile design—to meet the highly varied requirements of both educational and office spaces. Ability to design and control two separate spaces as one, while providing a modern ductless look and feel along with heat recovery technology and individual zone control. The strong relationship with the engineer coupled with the quality reputation, support and trust in the Lennox brand. 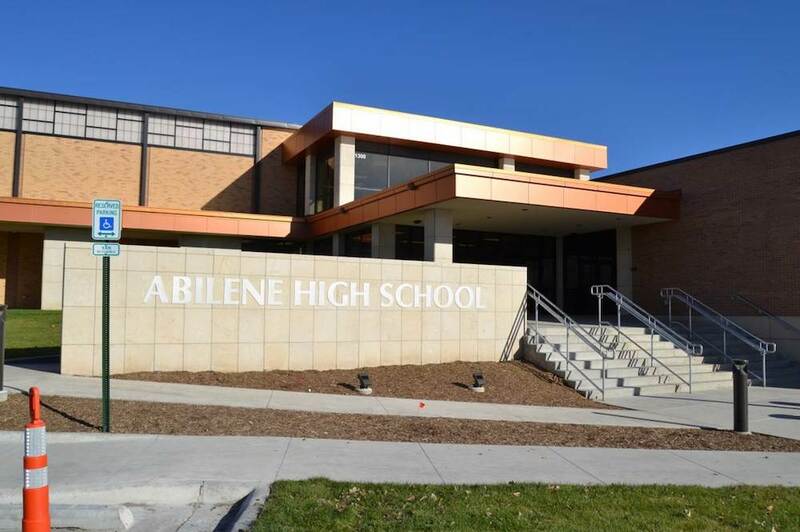 BUILDING OVERVIEW | Abilene High School is part of the Abilene Public Schools system and is located in the town of Abilene, Kansas, just over two hours west of downtown Kansas City, Missouri. In early 2016 the school went through major renovations, including a large addition to its existing building. The expansion was needed due to growing student populations, and presented a huge opportunity—as well as a huge challenge—for a new HVAC system in the new space, along with a replacement of the existing HVAC system. PROJECT CHALLENGE | The design engineer from PKMR Engineers had a strong relationship with Lennox, but was relatively unfamiliar with the newer Lennox VRF and mini-split product lines. For this reason, a Lennox competitor was being considered for the project. But the Lennox VRF team successfully leveraged the strong relationship and educated the engineer on the Lennox VRF and mini-split products, ultimately instilling the confidence needed to award the opportunity to Lennox. Another challenge faced in the design was how best to condition the very different spaces within the addition, from various small offices with just one or two occupants, to larger classrooms with more occupants, to a pair of very large gymnasiums. There were layout challenges to address as well, since the more similar spaces—the offices and classrooms—were separated by the two gyms located in the middle. THE SOLUTION | Several Lennox products were selected as a combined system that could deliver elegant solutions in response to the various and challenging needs of the project. The designer implemented Lennox' Energence rooftop units to replace the RTUs already in place at the high school, as well as to condition the two new gymnasiums and other spaces for the building addition. Lennox VRF heat recovery units, in combination with Lennox mini-split heat pump units, were selected to provide additional conditioning for the new offices, classrooms and equipment rooms on either side of the gyms. Central control systems were implemented via the Lennox L Connection® Network for RTUs and the Lennox VRF Manager (LVM) for VRF and mini-splits. To complement the LVM, programmable local controllers for the VRF indoor units and wireless controllers for the mini-split indoor units were utilized to put the power of control in the hands of the occupants of each zone. Owner training was also provided by Lennox. THE RESULT | Lennox was the basis for design on all the equipment for this project, which resulted in a successful combined application installation, start-up and owner training. 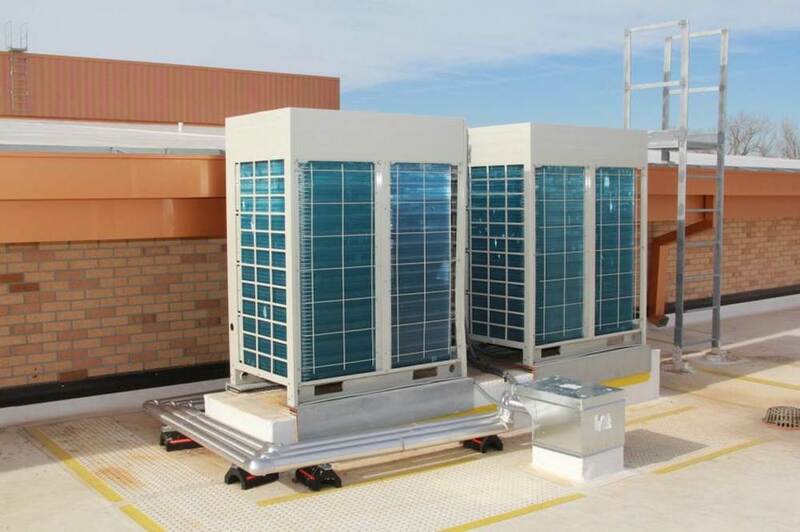 All goals outlined in the beginning of the project were achieved via a combination of Lennox Energence rooftop units, VRF, commercial split and mini-split systems. The VRF and mini-split systems provided the installation flexibility, energy-efficient operation, low sounds levels and zone temperature control needed in the classrooms, office spaces and equipment rooms for this school building addition, all accompanied by the support and extensive expertise that only Lennox can offer. 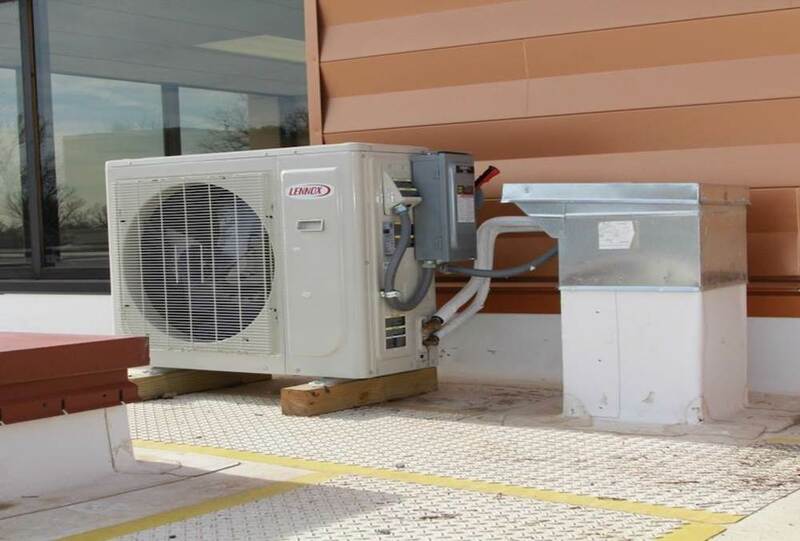 SUMMARY | The new HVAC system provides and maintains a constant comfortable environment for the students, teachers and administrative personnel. The Lennox solution met the layout challenge of the addition: requiring an HVAC system that offered installation simplicity and flexibility, as well as the ability for various occupants to perform individual comfort control while achieving desirable energy savings. The VRF and mini-split systems also provided the modern look and feel the district set out to achieve. The ultimate outcome was a satisfied school district with indications for future Lennox business on a middle school addition project being planned for the coming year. Download the Abilene High School case study PDF.